Shp1 is implicated as a regulator of signaling by RTKs, cytokine receptors, multichain immune recognition receptors (MIRRs), chemokine receptors, and integrins. Many of these studies utilized cells from me/me or mev/mev mice. Such cells provide the advantage of a genetic model of Shp deficiency, but the reported defects may reflect altered development caused by Shp1 deficiency, rather than the effects of Shp1 on a specific signaling pathway per se. Remarkably, despite much progress in defining signaling pathways affected by Shp1, its direct targets remain controversial and/or elusive. Bone marrow macrophages (BMMs) from me mice were reported to show increased proliferation in response to colony-stimulating factor 1 (CSF-1; MCSF) . Subsequent studies found no effect of Shp1 on proliferation per se [138,139], although me BMMs required less CSF-1 for survival . The target(s) of Shp1 in this pathway also are controversial. In one study, the CSF-1R was found to be hyperphosphorylated, albeit for short times, following stimulation . Others failed to confirm these observations, noting instead that p62Dok (Dok) is the major hyperphos-phorylated species . The reason for this discrepancy is not clear. Regardless, because Dok is primarily a negative regulator, acting to recruit RasGap [140-142], it remains unclear how Dok hyperphosphorylation might explain the lower CSF-1 dependency of me BMMs. Shp1 does not bind directly to either the CSF-1R or Dok. Instead, two inhibitory receptors, Shps1 (Sirpa/BIT/MFR) and PirB (p91A) are the major Shp1 binding proteins in BMMs [35,143-145]. Both also are Shp1 substrates , but it does not appear as if dephosphorylation of these proteins plays a major negative regulatory role. Also, it is not clear if either regulates RTK signaling in BMMs or has another function, such as in integrin signaling . Shpl also negatively regulates cytokine signaling in BMMs. IFNa/p signaling is dramatically enhanced in me BMMs, as shown by increased JAK1 and STAT1 tyrosyl phosphorylation . These data are consistent with other studies implicating Shpl in Janus PTK dephosphorylation. Others have reported that granulocyte-macrophage colony-stimulating factor (GM-CSF)-evoked proliferation is enhanced in Shpl-deficient BMMs . These workers observed no change in JAK/STAT phosphorylation but did notice a hyperphosphorylated 126-kDa species, which is most likely Shps1 and/or PirB. As indicated previously, hyperphosphorylation of these proteins alone is unlikely to explain increased GM-CSF responsiveness. Shp 1-deficient BMMs are markedly hyperadherent to ligands for both P1 and P2 integrins, suggesting a negative regulatory role for Shp1 in integrin signaling . The direct targets of Shp1 in this pathway also remain unclear, although actions on src family PTKs (SFKs) and/or the p85 subunit of phosphatidylinositol 3-kinase (PI3K) have been suggested. If SFKS are, in fact, Shp1 targets, presumably only specific members mediate the increased adhesiveness, because SFK activity also is increased in CD45-/- BMM yet these cells fail to sustain integrin-mediated adhesion . Although p85 is reportedly hyperphosphorylated, and phosphatidylinositol 3,4,5-triphosphate (PIP3) levels are elevated in me BMMs , a direct stimulatory effect of p85 tyrosyl phosphorylation on PI3K activity has not been demonstrated. Shps1 (and possibly PirB) probably play an important role in mediating Shp1 action in integrin signaling. Shps1 becomes rapidly phosphorylated in response to BMM adhesion, most likely by SFKs , and recruits Shp1. Immunostaining experiments suggest targeting of Shps1 to sites of adhesion (K. Swanson and B.G.N, unpublished data). Shps1 also forms complexes with other proteins that probably play important roles in integrin signaling. One contains the adapter proteins Skaphom/R and SLAP130/Fyb (now known as ADAP). ADAP is essential for in inside-out signaling in T cells [150-152], perhaps by virtue of its ability to bind Ena/Vasp family proteins . The other Shps1 complex contains the focal adhesion kinase (FAK)-related PTK Pyk2, and FAK regulates fibroblast adhesion . Skaphom, ADAP, and Pyk2 associate constitutively with Shps1, but all undergo inducible phosphorylation in response to adhesion . It is tempting to speculate that upon recruitment to tyrosine-phosphorylated Shps1, Shp1 dephosphorylates one or more of these associated proteins. Although tyrosyl phosphorylation activates Pyk2, its effect on Skaphom and ADAP remains to be determined, as does whether any of these proteins are direct Shp1 targets. In any case, it is unlikely that all effects of Shp1 on BMMs are mediated via Shps1, as mice lacking the cytoplasmic domain of Shps1 do not exhibit a me phenotype, their only obvious defect being mild thrombocytopenia . Interestingly, while haplotaxis is defective in me BMMs, probably owing to defective deadhesion, BMMs show markedly increased chemotaxis in response to chemokines . Chemokines signal via G-coupled receptors, so it remains unclear what the targets are for a PTP in chemokine signaling, although Pyk2 is a possibility . Phagocytosis is also regulated by Shp1. BMMs from me mice show increased ingestion of IgG-opsonized sheep red blood cells (RBCs), indicating defective negative regulation of FcyR signaling . Complement-mediated phagocytosis, which utilizes P2 integrins, also is enhanced in me BMMs. Recent data indicate that both of these negative regulatory pathways involve Shps1/Shp1 complexes. CD47, a ubiquitously expressed glycoprotein , is a ligand for Shps1 . CD47 on the RBC surface engages macrophage Shps1, leading to its tyrosyl phosphorylation, Shp1 recruitment, and inhibition of FcyR signaling [161,162]. Interestingly, unopsonized RBC phagocytosis is unaffected in me BMMs, indicating that Shps1/Shp1 complexes do not regulate the receptor responsible for phagocytosis of unopsonized RBC. Neutrophil signaling is also affected by Shp1 deficiency. The number and size of colonies evoked by G-CSF are increased in bone marrow from me, compared with WT mice, and also differ qualitatively, containing increased numbers of macrophage-like cells . Increased G-CSF responsiveness also is apparent in short-term proliferation assays and is reflected by an increased magnitude of STAT activity in progenitors . Cell lines expressing dominant negative Shp1  and Shp1-/- DT40 B cells expressing the G-CSFR  also show increased G-CSF-evoked STAT activation. Under endogenous conditions, no association between the G-CSFR and Shp1 can be detected, although an unidentified 92-kDa species coprecipitates . When Shp1 and the G-CSFR are massively overexpressed in 293 T cells, a small amount of coprecipitation is detected. Despite the lack of strong association, the G-CSFR C terminus is necessary for Shp1 to mediate its effects on G-CSF signaling, although the receptor tyrosines are dispensable . Thus, the mechanism by which Shp1 regulates GCSF signaling, including its direct targets, remains unclear. A provocative study indicates that Shp1 also acts as an effector of death receptors, such as the TNF receptor (TNFR) and Fas . These receptors contain a conserved AXYXXL motif in their cytoplasmic domains and undergo tyrosine phosphorylation upon activation. Despite its non-canonical nature, pTyr peptides containing this motif were found to bind to Shp1 from neutrophils. Death receptor activation antagonizes cytokine-evoked neutrophil survival and depends on the presence of the pYXXL motif. Moreover, me/+ neutrophils appear relatively resistant to death receptor stimuli. These effects correlated with increased cytokine-evoked Lyn phosphorylation, suggesting that Lyn may be a target for death receptor/Shp-1 complexes. Neutrophil function is also altered in me mice. Oxidant production, surface expression of the integrin subunit CD18 and adhesion to plastic are enhanced in me neutrophils, whereas chemotaxis is diminished, perhaps due to increased adhesion . However, it is not certain whether all of these defects reflect direct effects of the absence of Shp1 or altered granulocytic differentiation in me mice. Multiple studies have shown that Shpl negatively regulates antigen receptor (TCR and BCR) signaling [167-169]. In these pathways, Shpl is recruited to specific inhibitory receptors that block cell signaling (Fig. 3A). CD5  and members of the ILT family (LIR, MIR, CD85) [l7l] probably negatively regulate TCR signaling in different types of T cells. In B cells, knockout studies have established roles for CD22 [172-174], CD72 , and CD5 . Other inhibitory receptors, such as PirB/p9lA, ILT2, PECAM-l, and CEACAM, are also expressed in B cells and can transduce inhibitory signals . Shpl initially was suggested to mediate inhibitory signaling by FcyRIIB, the Fc receptor that mediates inhibition of B cell activation by immune complexes [ll2]. Subsequent studies showed that Shpl is dispensable for FcyRIIB-mediated inhibition, which instead is transmitted via the inositol phosphatase SHIP [177-180].
. There also is no agreement over the target of Shpl in B cells, with suggestions including Syk  and more downstream substrates, such as BLNK  and Vav . In NK cells, Shpl mediates inhibitory signaling by killer inhibitory receptors (KIRs; Ly49 family in the mouse) and CD94/NKG2. These receptors bind to host human leukocyte antigen (HLA)/major histocompatibility complex (MHC) and prevent cytolysis by recruiting Shpl to interrupt signaling by NK cell activating receptors [3l,l69,l88]. Again, the precise targets for Shpl remain unclear. Initial work indicated that the earliest events in NK cell activation were blocked by KIR engagement, suggesting action of Shpl on a proximal NK cell PTK . Subsequent studies indicate that SLP-76 may be a direct target . The reasons for these disagreements are unclear. Various groups have studied different lymphocyte or NK cell lines. If Shpl has several different targets, perhaps reflecting the action of different inhibitory receptor/signaling complexes, the targets in each system might differ. Some studies have compared signaling in cells from me and WT mice or WT with inhibitory receptor knockout mice. Because Shpl and/or inhibitory receptor deficiency can result in altered development, these studies can end up comparing cells at different developmental stages. Such "apples and oranges" comparisons make it difficult to know whether differences are primary or secondary. New approaches such as inducible knockouts and/or RNAi, combined with substrate trapping mutants, may help to resolve these important questions. The role of Shpl in other lymphocyte signaling pathways is controversial. Shpl has been reported to regulate interleukin-2 (IL-2) receptor signaling in human T cells [l9l]; however, me thymocytes show no difference in their IL-2 response . Shpl reportedly is required for Fas-induced cell death [192,193], analogous to its role in mediating death receptor signaling in neutrophils, but two subsequent reports failed to find such a requirement [106,194]. Shpl binds directly to the EPO receptor (EpoR) [195, 196]. Studies with EpoR mutants suggest that upon recruitment, Shpl dephosphorylates the receptor-associated kinase, Jak2 . This model (Fig. 3B) provides a possible molecular explanation for the phenotype of a family that inherits an EpoR truncation and exhibits erythrocytosis . Knock-in mice bearing a similar truncation do not have erythocytosis but show increased EPO sensitivity . The recent finding that SOCS3 can be recruited to the same region raises the question of whether the effects of these EpoR mutants are due to loss of Shpl or SOCS binding . Conceivably, Shpl and SOCS proteins act in combination to negatively regulate the EpoR and possibly other cytokine receptors. Upon activation, JAK2 (and other Janus PTKs) become phosphorylated on two adjacent sites, Y1007 and Y1008. Monophosphorylated Yl007-containing peptides bind SOCS3, but it is unclear (although it is unlikely) if bis-phosphorylated (i.e., pYl007/pYl008) peptides can bind. Perhaps Shpl first dephosphorylates Y1008, thereby allowing a SOCS protein to bind via pYl007 and mediate degradation (Fig. 3B). An analogous model may explain the positive actions of Shp2 in cytokine signaling. Shpl also binds to  and negatively regulates [120,121] Kit. Loss of this regulation may contribute to the enhanced erythogenic potential of progenitors from me mice. The few studies that have explored Shpl actions in epithelial cells have yielded surprising results. First, as indicated above, a significant amount of Shpl appears to be nuclear in these cell types [24,84]. Also, in at least some cell types and signaling pathways, Shpl may play a positive signaling role , although how it does so remains to be determined. Nevertheless, Shpl clearly plays a negative regulatory role in other epithelial signaling pathways. For example, it binds directly to and dephosphorylates the RTK Ros. Loss of this regulation may help explain the sterility of me mice . Shp2 is also implicated in a wide variety of signaling pathways, yet, unlike Shpl, in most cases it appears to have a positive role. There are, however, exceptions, as described below. In most, if not all, RTK signaling pathways, Shp2 is required for full activation of the Erk MAP kinase pathway. Figure 3 Signaling by Shpl. (A) Regulation of MIRR signaling by inhibitory receptor/Shp complexes. Shown is a typical activating multichain immune recognition receptor (e.g., TCR, BCR, FcR, activating NK receptor) and a typical inhibitory receptor. Upon cell activation, signals from the activating MIRR result in tyrosyl phosphorylation of the inhibitory receptor, which in turn recruits Shpl (and possibly Shp2 and/or SHIP). Recruitment both localizes and activates the Shp, which then dephosphorylates one or more targets in the vicinity of the activating receptor complex. Possible direct targets are indicated; however, for most pathways, the direct substrates of Shpl remain unknown or controversial. For many MIRR pathways, cross-linking of inhibitory receptors to activating receptors may be important for inhibitory signaling. (B) Regulation of cytokine signaling. Shown is a model of the EpoR, which couples to JAK2. Upon ligand binding, the receptor-associated PTK becomes activated and phosphorylates the receptor on multiple sites, including the binding site for Shpl. 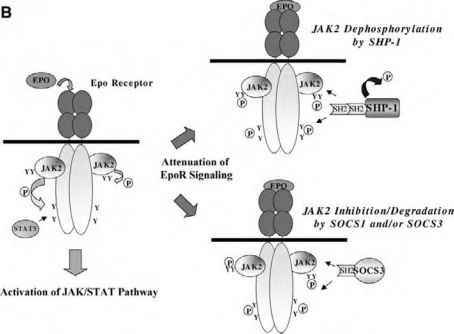 Shpl may directly dephosphorylate JAK2, leading to its inactivation. However, SOCS proteins also are important for inactivating cytokine receptors. How Shps and SOCS proteins interact to effect negative regulation is unknown. Shown is a highly speculative model in which Shpl and SOCS proteins might collaborate to negatively regulate cytokine receptor signaling. In this model, Shpl is responsible for dephosphorylating the adjacent pYl008 on JAK2, thereby allowing an appropriate SOCS protein to bind at pY l007. For details, see text. For some RTKs and in some cell types, such as insulin-like growth factor 1 (IGF-1) signaling in fibroblasts, there is virtually no ERK activation in the absence of Shp2; in other RTKs, initial ERK activation is normal, but Shp2 is required for sustained signaling [89,90,127]. Although Shp2 binds directly to some RTKs (e.g., platelet-derived growth factor receptor [PDGFR]), in many other pathways, it binds to one or more scaffolding adapters . For example, Shp2 binds to Gabl upon EGFR, hepa-tocyte growth factor (HGF), and FGFR stimulation [202,203], to IRS family proteins following insulin/IGF stimulation , and to FRS2 (SUC1-associated neurotrophic factor [SNT]) downstream of the FGFR . Studies using fibroblasts derived from Gab1-/- [206,207] and FRS-2-/-  mice and experiments with chimeric and mutant forms of scaffolding adapters [209,210] indicate that these scaffolding adapter/Shp2 complexes mediate the effects of Shp2 on ERK activation, at least in some RTK pathways. Genetic analysis of the DER and EGL-15 pathways suggests similar roles for Dos/Csw  and Soc-1/ Ptp-2 complexes . Despite intensive study, how Shp2 mediates ERK activation remains incompletely understood (Fig. 4A). Cells expressing dominant-negative Shp2  or Ex3-/- fibroblasts [89,134] show defective Ras activation in response to multiple RTKs, indicating that Shp2 acts upstream of Ras. Initial work suggested an "adapter" model, in which Shp2 becomes tyrosyl phosphorylated in response to RTK stimulation and then binds Grb2/SOS [22,212,213]. Although this mechanism may contribute to Ras activation in some RTK pathways, it is unlikely to be generally required, as Shp2 is not tyrosyl phosphorylated in all RTK signaling pathways. Studies of Xenopus  and Drosophila  showed no absolute requirement for the C-terminal tyrosyl residues in Sevenless and XFGFR signaling, respectively; an important caveat is that these studies involved overexpression of mutant forms of Csw/Shp2. Instead, multiple studies indicate that the PTP activity of Shp2 is vital for its positive signaling function. Shp2 dephosphorylates the RasGap binding site on the PDGFR preferentially, which suggested a model in which RasGap is recruited precociously to the PDGFR in the absence of Shp2, thereby limiting Ras activation . Similar findings were reported in studies of Torso (which is structurally related to the PDGFR) signaling . Although this model and these observations are attractive, they cannot provide the entire explanation. Dos (daughter of sevenless), a Drosophila Gab ortholog, is required for embryogenesis, presumably in Torso signaling, and Csw binding to Dos appears to be essential for this function [218-220]. Gab1-/-fibroblasts and Shp2 Ex3-/- fibroblasts [89,90] also have defective PDGF-evoked Erk activation . Thus, mere recruitment of Shp2/Csw to PDGFR/Torso (and consequent regulation of RasGap binding) cannot account for the role of Shp2 in Ras activation. One can imagine three general models by which Shp2, acting via scaffolding adapter/Shp2 complexes, might signal to Ras. Shp2 could regulate the phosphorylation of another site(s) on the scaffolding adapter, controlling binding of an SH2 or PTB domain protein. Alternatively, Shp2 could regulate the phosphorylation of a protein that binds to the scaffolding adapter in either a pTyr-dependent or -independent manner. Finally, the scaffolding adapter could merely target Shp2 to where the substrate resides, presumably a membrane compartment given that scaffolding adapters have membrane-targeting modules such as pleckstrin homology (PH) domains. Recent data strongly support the third model. The only Tyr residues on Dos required to rescue Dos loss-of-function mutants are the Csw binding sites, thus arguing strongly against Dos itself being the relevant substrate. A Gab1-Shp2 fusion protein can lead to growth-factor-independent ERK activation in mammalian cells and potentiates activation in response to ligand . Fusion of the Gab1 PH domain alone (or several other membrane-targeting sequences) to the PTP domain has a similar effect . Ligation of the N terminus of Src to Csw also produces a gain-of-function mutant [123,124]. What, then, is the key substrate(s) that Shp2 (or its orthologs) must dephosphorylate to mediate Ras (and ultimately, ERK) activation? Cells expressing the Gab1-Shp2 fusion exhibit enhanced Src activity, and Src inhibitors block the ability of the fusion to activate ERK . These findings suggest that Shp2 acts upstream of, and even directly on, Src in the Ras/ERK pathway, an attractive idea as SFKs have negative regulatory C-terminal tyrosyl phos-phorylation sites. However, several lines of evidence raise questions about this simple model. First, receptor-like PTP a (RPTPa) is required for most SFK activation, at least in fibroblasts, and PTPa directly dephosphorylates SFK inhibitory Tyr residues [223,224]. It is not clear how Shp2 might fit into this scheme of Src regulation. Conceivably, Shp2 regulates a critical pool of SFKs (or specific SFKs), amounting to only a fraction of total cellular SFK, with PTPa regulating the rest. An intriguing alternative is that Shp2 regulates the recruitment of Csk (the kinase that phos-phorylates Y527) to the membrane through PAG/CBP, a transmembrane phosphotyrosyl protein, which can bind Csk upon phosphorylation. 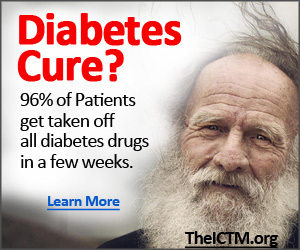 The lack of sufficiently sensitive immunoreagents has prevented an adequate test of this possibility. A significant problem with any "Src activation" model of Shp2 action is that several studies have failed to find a role for SFK in RTK-evoked ERK activation [88,225]. Thus, the effects of the Gab-Shp2 fusion on Src activation may not reflect the normal role of Gab1/Shp2 complexes in RTK-evoked ERK activation, but rather an artificial gain of function. It would be interesting to know whether tethering of other PTPs has similar effects on Src and ERK activity in this system. Although Shp2 clearly regulates Ras/ERK activation, genetic and biochemical evidence indicates other key roles in RTK signaling (Fig. 4A). In the Torso pathway, Csw mutations have far more severe effects than mutation of either Drk (Grb2) or Ras . Epistasis analysis places Csw both upstream and downstream of Raf or in a parallel pathway in Sevenless signaling , as well as upstream and downstream of (or parallel to) Ras in the DER pathway . Figure 4 Signaling by Shp2. (A) Role in RTK signaling. Shp2 (and its orthologs) can be recruited directly to some receptors, such as the PDGFR (and Torso). Part of its positive signaling role may involve preventing dephosphorylation of RasGap binding sites until appropriate signaling has occurred. Shp2 also binds to several scaffolding adapters, such as Gab/Dos, IRS, and FRS-2, and genetic and biochemical studies indicate that scaffolding adapter/Shp2 complexes are critical for the ability of Shp2 to fully activate Ras, even in PDGFR and Torso signaling. The precise targets that Shp2 must dephosphorylate to mediate Ras activation are unknown, as is whether adapter/Shp2 complexes act upstream of Ras exchange factors or RasGap, or both. Potential direct targets include SFK inhibitory tyrosyl residues or the Csk binding partner PAG/CBP, but none of these has been shown convincingly to be a target. In addition to its role upstream of Ras activation, substantial evidence suggests that Shp2 also is required for some downstream (or parallel) function needed for transcription factor activation. Studies of Csw suggest that, besides its likely function in Ras activation, it may regulate nuclear transport of ERK via the importin P homolog, Dim-7. For details, see text. (B) Role in cytokine signaling. In cytokine signaling pathways, Shp2 may function analogously to its role in RTK signaling. A highly speculative alternative, however, is that Shp2 acts on pY1007 to regulate SOCS protein recruitment and consequent degradation. Note that this model is the converse of that in Fig. 3B. 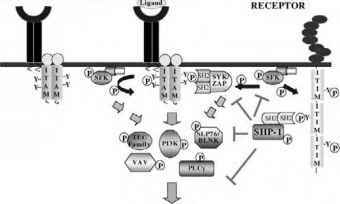 (C) Role in integrin signaling. Upon adhesion to appropriate ligands, Shp2 is recruited to tyrosyl phosphorylated Shps1. Shp2 is required for normal integrin-evoked ERK activation and for control of the cytoskeleton and cell motility. The latter may be mediated via its ability to regulate the small GTPase Rho. However, the extent to which Shps1 participates in each of these signaling pathways remains unclear. Also, unclear are the direct targets of Shp2 in integrin signaling, although several candidate proteins are shown. The latter function may involve regulation of nuclear import, as Csw associates with the importin P ortholog Dim-7, which controls nuclear transport of the ERK ortholog Rolled . This notion is consistent with the studies of the role of Gab2/Shp2 complexes in cytokine signaling . In some RTK (e.g., PDGFR, IGFR, FGFR) pathways, Shp2 is required for PI3K activation [90,228]. However, in the EGFR pathway, Shp2 has the converse role, negatively regulating PI3K activation by dephosphorylating the PI3K binding sites on Gabl . 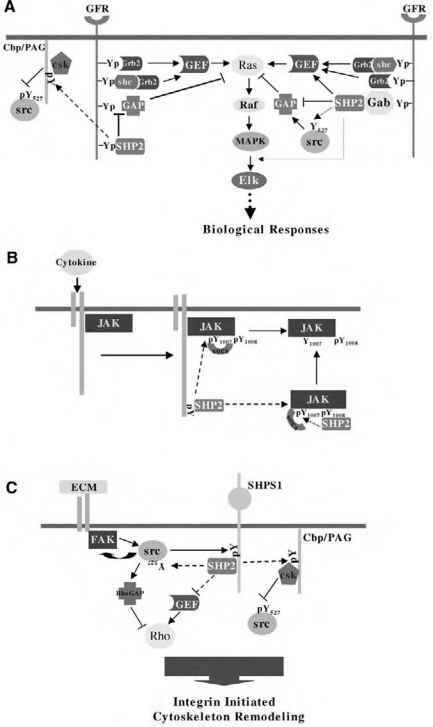 Shp2 mutant fibroblasts also exhibit increased c-Jun N-terminal kinase (JNK) activation in response to a variety of stress stimuli . 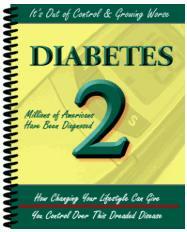 Further studies are required to unravel the molecular details of these actions of Shp2. Multiple studies also indicate that Shp2 is important for Erk activation in response to a variety of cytokines. Most workers probably assume that Shp2 has a similar mechanism of action (i.e., acting upstream of Ras) and similar targets in cytokine receptor and RTK signaling. However, the possibility of a unique action in cytokine signaling should not be excluded. For example, as indicated above, Janus PTKs undergo dual phosphorylation within their activation loops, with one site (Y1007 in JAK2) being required for binding to SoCS proteins (and thus for degradation). Conceivably, Shp2 might dephosphorylate Y1007, thereby preventing premature access of SOCS proteins to this site (Fig. 4B). Although there is virtual agreement that Shp2 is a positive regulator of cytokine-evoked ERK activation, its role in cytokine-evoked STAT activation is controversial. Studies using dominant-negative mutants and STAT-dependent tran-scriptional reporters indicate that Shp2 is required for STAT activation [36,229,230]. Subsequent studies, most of which examined the effects of mutant cytokine receptors unable to bind Shp2, reached the opposite conclusion; namely, that Shp2 negatively regulates the STAT pathway, either by dephosphorylating or inactivating (not activating, as in the model described earlier) Janus PTKs, STAT proteins, and/or STAT binding sites on the receptors themselves [231-234]. The discovery that Shps and SOCS proteins bind to the same sites on several cytokine receptors complicates interpretation of these mutant receptor studies. Nevertheless, interferon a/p (IFN-a/p)-evoked STAT activation is enhanced in immortalized fibroblasts from Ex3-/- mice, consistent with a negative regulatory role for Shp2 on the JAK/STAT pathway . Conceivably, Shp2 might have positive effects on some Janus PTKs and negative effects on others, or it could act on more than one target in cytokine receptor signaling. Studies of Ex3-/- fibroblasts [236,237] and with dominant negative mutants [237-239] established a role for Shp2 in integrin signaling. Shp2 function is required for integrin-evoked cell spreading, migration, and ERK activation, and Shp2-deficient cells exhibit increased stress fibers. Consistent with the latter, recent studies indicate that activation of the small G protein Rho, which controls stress fiber formation , is enhanced in Shp2-/- fibroblasts . How Shp2 mediates these effects also remains unclear. Shp1 becomes tyrosine phosphorylated following integrin activation, probably by one or more SFKs, and recruits Shp2 [33,237,242], raising the possibility that the effects of Shp2 on adhesion are mediated by Shp1/Shp2 complexes (Fig. 4C). However, studies of fibroblasts from mice lacking the Shpsl cytoplasmic domain reveal a more complicated picture. Whereas Rho activation is enhanced in Shp2 mutant cells, it is inhibited in Shpsl mutants, despite the fact that both types of cells have increased stress fibers and defective migration . The effect of Shp2 on early events in integrin signaling is controversial. Whereas some workers report no effect of dominant-negative Shp2 on FAK tyrosine phosphoryla-tion , others have found that phosphorylation is enhanced . Studies on Shp2 mutant fibroblasts also disagree, with one report showing that Shp2 is required for normal integrin-evoked Src and FAK phosphorylation , whereas another found no effect on integrin-evoked FAK phosphorylation but a decrease in the rate of FAK dephos-phorylation upon de-adhesion . It is unclear whether these discrepancies reflect differences in experimental details and design, reagents, or experimental systems. An interesting possibility is that Shp2 helps to integrate some RTK/integrin signals, as stimulation of the RTK EphA2 was reported to cause Shp2-mediated FAK dephosphorylation and inhibit integrin function . Upon TCR activation, Shp2 becomes tyrosyl phosphory-lated and associates with the scaffolding adapter Gab2 [36,245-247]. Shp2 tyrosyl phosphorylation and association with Gab1 have been reported in B cells , although Shp2/Gab2 complexes also form in some B-cell lines . The functional consequences of these interactions remain somewhat unclear. Stable expression of dominant-negative Shp2 in a T-cell line inhibits ERK activation ; however, overexpression of Gab2 inhibits TCR-evoked activation of ERK-dependent and nuclear factor of activated T cells (NFAT)-dependent reporters [249,250]. One group found that only the PI3K binding sites were required for this inhibitory effect , whereas another observed a requirement for both Shp2 and PI3K binding . Studies of the effects of Gab family-deficient B and T cells should help to resolve these issues. Shp2 also may mediate some inhibitory receptor signals. Shp2 was reported to bind the CD28 family member CTLA-4 and dampen TCR activation, most likely by dephosphorylat-ing TCR-associated kinases . The purported binding site for Shp2 on CTLA-4 is quite atypical, raising questions as to whether Shp2 binds directly to CTLA-4. Moreover, subsequent studies indicate that the Shp2 binding site is dispensable for CTLA-4-mediated inhibition [251-253]. The inhibitory receptor PD1 contains two potential ITIMs, and a chimera between the extracellular domain of FcyRIIB and the intracellular domain of PD1 inhibits BCR activation upon co-crosslinking. Shp2, but not Shpl or SHIP, binds the chimeric receptor, implicating Shp2 as the mediator of inhibitory signaling . Because Shp2 binding sites can overlap with those of other inhibitory molecules, such as SOCS proteins, confirmation using dominant-negative, RNAi, or B-cell-specific knockout approaches is desirable. Shp2 also is implicated in inhibitory signaling by CD31 (PECAM-1) in B cells  and platelets . Finally, Shp2 binds to several other inhibitory receptors, most of which also bind Shpl . Whether or not Shp2 has a role in mediating these inhibitory signals remains unknown.